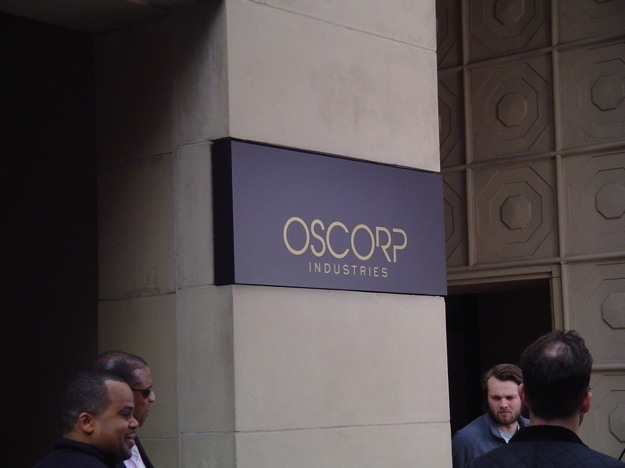 THE AMAZING SPIDER-MAN set photos show off Oscorp! 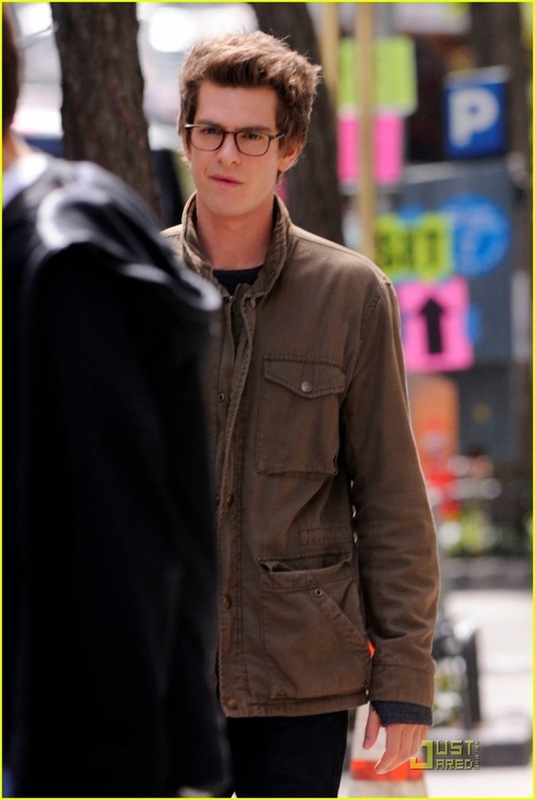 Marc Webb's The Amazing Spider-Man has been filming in New York City. Thanks to our friends at ComingSoon.net, we have some photos form and a description from the set. 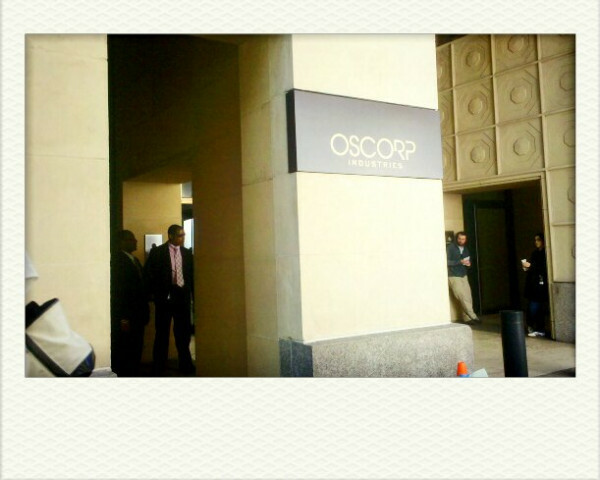 As you can see from the photo above and the others below, Oscorp will have a role in the film. The image below is from Twitter user @claimo, shows an exterior sign from the city's Hearst Tower. You may recall that Oscorp is the company run by Norman Osborn, AKA the villainous Green Goblin (Willem Dafoe in Spider-Man and, briefly, in Spider-Man 2). 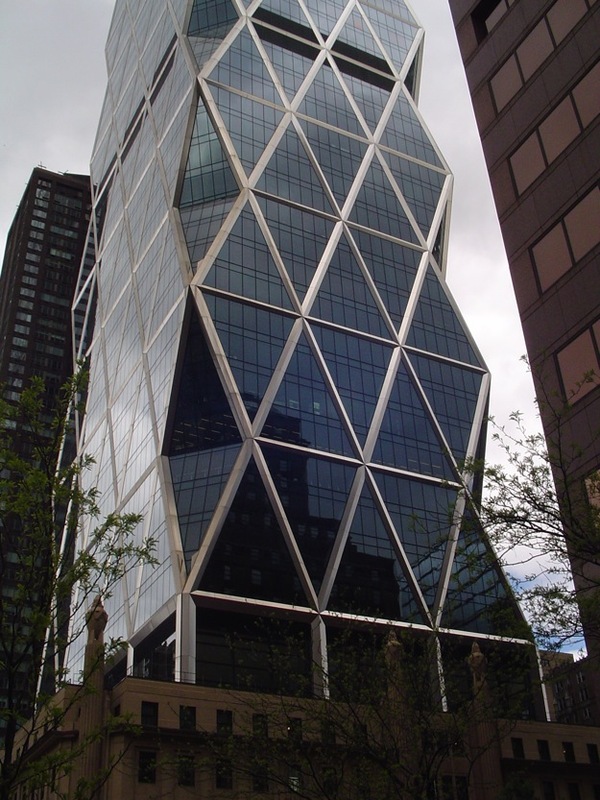 "The Norman Foster 'Hearst Building' is being used as Oscorp. They were filming interior scenes in the lobby and mezz floors. I saw plenty of Oscorp employees (all wearing security badges), a couple of police officers (no Dennis Leary) and a couple of army officers (Generals I think). Crew members (two that I saw) were wearing shirts that said 'Amazing' on them in the Comic font. I also asked a few people if Norman had been cast, but they claimed to know 'nothing'." Below are some more images that show off our first look at Andrew Garfield as Peter Parker in glasses and another glimpse at Emma Stone as Gwen Stacy. Check out even more photos via Just Jared. The film also stars Rhys Ifans, Martin Sheen, Denis Leary, Campbell Scott, Julianne Nicholson, Irrfan Khan, Annie Parisse, Chris Zylka and C. Thomas Howell. It arrives in theaters on July 3, 2012. AMAZING SPIDER-MAN trailer arrives next week!